Our guide to Columbus will help you find the best budget hotels in Columbus Ohio. Even when the rest of Ohio began to suffer industrial decline in the second half of the 20th century, Columbus grew, primarily because its economy is based on state government, education, finance and insurance, and light industry. Continued prosperity has made Columbus an attractive place to live and visit. The city is home to Ohio State University, which is the state's largest academic institution, with more than 50,000 students. Another well-known local institution is the Columbus Zoo, one of the nation's most acclaimed. There are tons of great budget hotels in the city of Columbus, our city guide will help you find the best budget hotels. You may have a hard time deciding what to do in Columbus, but we make your decision easy. 1078 E Dublin Granville Rd, (614) 885-1601 - The Super 8 Columbus is conveniently located on NW corner of I 71 (exit 117) and S.R. 161. Ohio State University is only 6 miles from our property. 1133 Evans Way Ct, (614) 870-2378 - Best Western Suites is a budget hotel / motel / resort located in Columbus OH. 115 Hutchinson Ave, (614) 785-0001 - Homewood Suites Columbus/Worthington is a budget hotel / motel / resort located in Columbus OH. 1213 E Dublin Granville Rd, (614) 298-8502 - Comfort Inn North is a budget hotel / motel / resort located in Columbus OH. 1221 E Dublin Granville Rd, (877) 863-4780 - Holiday Inn Express Columbus-North is a budget hotel / motel / resort located in Columbus OH. 1450 Airpointe Dr, (614) 337-8400 - Best Western is a budget hotel / motel / resort located in Columbus OH. 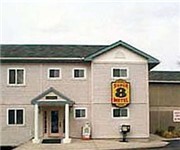 1559 W Broad St, (614) 275-0388 - Knights Inn is a budget hotel / motel / resort located in Columbus OH. 2045 Polaris Pkwy, (614) 396-5100 - Best Western Franklin Park Suites is a budget hotel / motel / resort located in Columbus OH. 2100 Brice Rd, (614) 864-1280 - Days Inn and Suites Reynoldsburg Columbus East is a budget hotel / motel / resort located in Columbus OH. 3031 Olentangy River Rd, (614) 267-1111 - Fairfield Inn & Suites Columbus OSU is a budget hotel / motel / resort located in Columbus OH. 3705 W Broad St, (614) 276-2691 - Forty Motel is an old motel along Route 40 and the National Road. 3999 Easton Loop W, (614) 414-1000 - Residence Inn Columbus Easton is a budget hotel / motel / resort located in Columbus OH. There are plenty more budget hotels in Columbus. See all budget hotels in Columbus Ohio.